Vision Vancouver mayoral candidate Ian Campbell said he’s withdrawing from the race for the city's top job. 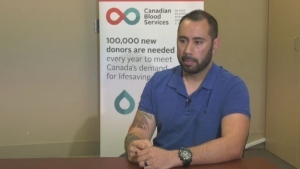 Campbell, a hereditary chief from the Squamish Nation, said his decision may catch many by surprise. “It seems clear that the best choice is for me to withdraw as candidate for Mayor of Vancouver. I want to thank my family and supporters for standing beside me throughout this entire journey and effort,” he said in a release. "This is not a decision I've taken lightly." He did not provide a reason for his decision, saying only he'd "reflected on the political landscape and my complicated personal journey," and it seemed clear that his best choice was to withdraw. Vision Vancouver co-chair Michael Haack said Campbell informed the party of his decision to withdraw from the race Monday afternoon. The release said Campbell and Vision will not provide any further comment on the announcement, which leaves the city's current ruling party without a mayoral candidate. One-time rivals paid tribute to Campbell’s brief run for office, with the NPA’s Ken Sim saying he appreciated Campbell’s engagement with the community. Would like to acknowledge @iancampbell2018 for your time and willingnesses to reach out to people. As a resident of Vancouver, I appreciate your engagement with the community. All the best. Pollster Mario Canseco said the last survey from Research Co. suggested Campbell had wooed about 18 per cent of decided voters prior to dropping out of the race. "That's a huge chunk of votes that has to go somewhere," he said. The results of the survey released Tuesday suggested independent mayoral candidate and former federal MP Kennedy Stewart had the highest approval rating, followed by independent candidate Shauna Sylvester and NPA candidate Sim. On Twitter, Sylvester wrote that it takes a lot of courage to run for public office and she wished Campbell and his family all the best. Stewart held a rally just hours after Campbell's decision became public. He said although the departure has blown the race open, it doesn't impact his overall strategy. "My job as an independent is to try to bring all progressives together so we can really get a handle and take action right away on solving our affordable housing crisis," Stewart said Monday evening. But one group that is impacted is Vision Vancouver. The deadline for mayoral candidate nominations is Friday. "It's easier to campaign when you have a candidate for mayor. It's a little bit easier to go to events, to make it to debates, for instance," Canseco said. "It's definitely going to be a tough situation for those who are running under the Vision banner." Campbell was looking to make history as the city’s first Indigenous mayor, and cited affordability as the top issue facing Vancouver residents. 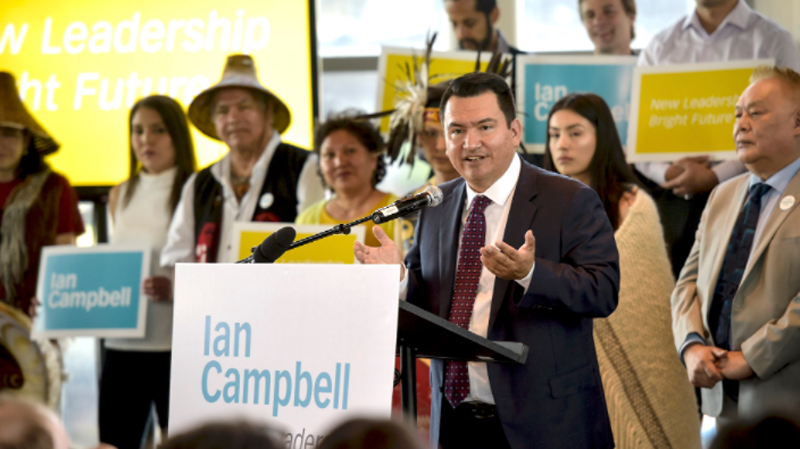 Vision had trumpeted Campbell’s nearly two decades of experience as a lead negotiator for the Squamish Nation when it first announced him as the party’s mayoral candidate in June. The party said Monday it would have more to say about the mayoral race in the coming days, but it is not yet known whether they'll put forward another name for mayor. Ian Campbell, hereditary Chief of the Squamish Nation, is shown in a photo from Vision Vancouver.